Purchasing lighting systems used to be a cinch. When your 80-watt incandescent burnt out, all you could do is simply buy more 60-watt bulbs. However, incandescent could waste lots of energy and created warm a glow. Consequently, they were phased out. As technology advanced, energy-saving CFLs were introduced to replace incandescent, temporarily, and as time went by, LED tubes arrived in major electrical stores. Energy-efficient, long-life, as well as environmentally friendly, LED tubes are the solicitous choice for any modern living room. Contemporary LED lighting choices are becoming more and more diverse. This means that they can find their way into any home, whether as exquisite chandeliers, lighting beneath your kitchen cabinets or vivifying the exterior of your compound. To help you get the best deal in the market, this article is going to deep dive you into the basics of buying the best LED tubes for your living space. Choosing the LED that’s right for you- Factors to consider? Almost all lighting manufacturers have migrated to LEDs. So if your lighting fixture is non-LED, you are missing a lot. Make a move today. Shop for a LED lighting system that addresses your lighting needs. Nonetheless, it is vital to understand your preferred design. Thermal Management: Always ensure that your LED lighting fixture has been designed with proper thermal management plus heat dissipation. Color Quality and Accuracy: Always ask for a proof that the LED fixture has the color you want. Safety Certifications: Don’t forget to check the UL listing and RoHS registry to ascertain the safety of your lighting fixture. Material Quality: Then material used determines the fixture’s performance and longevity. Test Reports: Always ask your supplier for test reports to confirm claims of brightness as well as longevity. Warranty: Also, demand to be given a warranty. In simple terms, LED lights are efficient. Typically, a LED light fixture uses about 90% less of electricity when compared to an incandescent version. Also, LED light bulbs tend to last significantly longer than their traditional counterparts-the incandescent lighting system. As such you won’t spend much effort and time replacing your living room’s bulbs. Think about those recessed lamps that are hard-to-reach, especially in a vaulted ceiling! Robustness/Durability: LED lighting fixtures are relatively sturdy, a feature that minimizes the risk of breakage and continual repairs/replacements. Safety: LED lighting systems are safe since they do not heat up like conventional light bulbs. This reduces the risk of light-related fires and burns. You can swap out your living room’s existing light bulbs for LED tubes, or update the fixtures to one featuring integrated LEDs, or go for lamps which have been built into the lighting fixture’s design. T5 LED tubes are installed to light-up almost everything -from aquariums to factories, learning institutions, modern offices, retails shops and supermarkets, and underground railway tunnels. 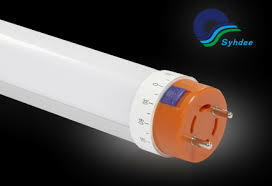 T5 tubes are cost-effective and can effectively light up larger spaces. They can last 30,000+hours and feature relatively low mercury content, which ensures that they have a negligible environmental impact. T8 tubes possess excellent color rendering capabilities, which vividly bring out the details of your clothes as well as furniture. Common settings where T8 LED tubes can be used include retail stores, auto garages, modern offices, schools plus conference rooms. 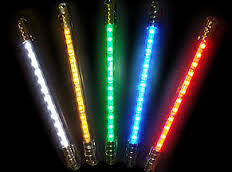 These come in a variety of lengths 2 foot, 4 foot, 5 foot and 6 foot with the most popular being the 5ft led tube. LED lighting fixtures possess exceptional directionality features, which makes them a great option in lighting applications like task and reading lamps, pendants and overhead, accents and displays, cove lighting, outdoor and landscape accent lighting, linear strip lighting, ceiling cans, and stair as well as walkways. LEDs can also be used in art lighting since they do not produce Ultra-Violet (UV) radiation, which makes them safe for artwork.